I am beyond excited and so honoured that Dina Gerner over at Digi Doodle Studios has made me a "Featured Designer". 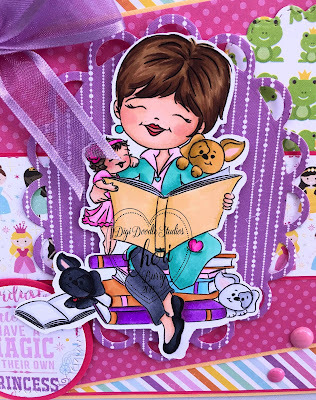 She created this adorable likeness of me with this digital stamp called "Cheri's Story Time"! When I opened the email containing the news and stamp it brought tears to my eyes! She has captured all the things that are most important to me! My Granddaughter Jacqualine and my 3 fur babies, Ally, Buster and Stella! Although Hubby would joke and ask where is he LOL? With the theme of the stamp being "story time", immediately in my head I pictured reading a fairytale to Jacqualine. 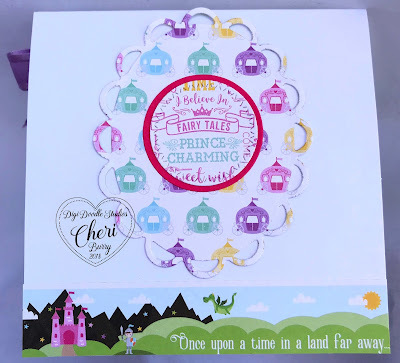 I knew the Echo Park Perfect Princess 6x6 collection would be perfect for my card! I used various papers form the collection and layered them with matching cardstock. It's hard to see but all the pink things have Spectrum Noir Glitter Pen added to them. A ribbon bow and some enamel dots finished off my card! I used more papers from the "Perfect Princess" on the inside as well. Dina thank you so much for capturing me so well and all the most important things to me! 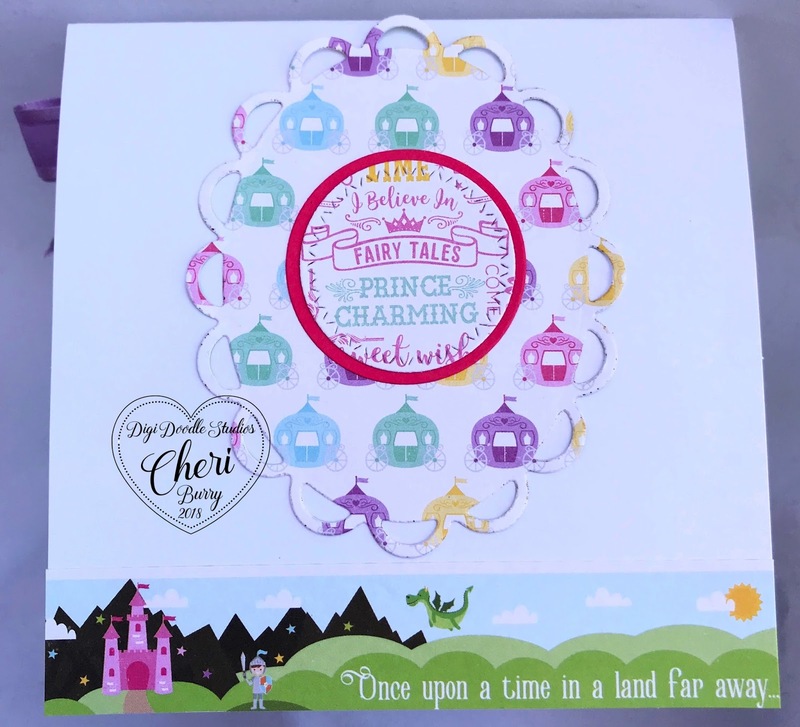 I absolutely love the "Cheri's Story Time" stamp!! Gorgeous selection of papers and they all work beautifully together. The image is so so cute!